One thing we can say about the monument, which has been declared a UNESCO World Heritage Site and voted one of the New World Wonders, is that the archeological site is even more beautiful than pictures can easily represent. That’s not true for every world-famous location. The classic shot over the 600-year-old ruins backed by the pyramidal peak of Huayna Picchu is certainly gorgeous. But no photograph (even 360 panoramas) can truly capture the deep valleys that plunge down beyond the terraced mountain slopes. It’s also quite hard to convey the scale, color and depth of the surrounding jungle-covered mountains. The landscape is unlike anything we’ve ever seen in other parts of the world. It’s really the natural setting that makes the monument so unique. 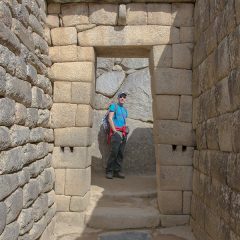 It’s true that Inca architecture is less obviously spectacular than the constructions of Mesoamerica or ancient Egypt – but it IS very special. 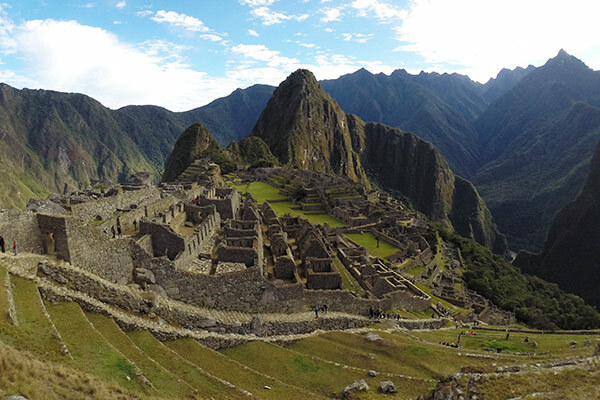 Machu Picchu requires movement and exploration to fully comprehend the full extent of its beauty. Winding through the narrow streets and alleys of the ruined city, descending the massive stone staircases, and exploring the stone dwellings and temples brings the site into focus. You have to walk along the gargantuan walls examining the perfection of the jigsaw masonry. 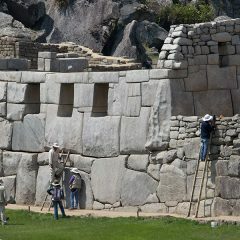 As in Cusco and Sacsawayman, the artistry is represented in perfect seams between incomprehensibly large stone blocks rather than wall paintings or sculpture. Those blocks also add an air of mystery. Like the stone circles of Britain or the mammoth Neolithic temples of Malta, it seems impossible for ancient cultures to have moved such enormous pieces of stone. How did they do it? Many of the structures like the Inti Watana, the Temple of the Sun, and the Royal Tomb can feel quite abstract at first, but the more you move through the site, the more you begin to understand the Incan aesthetic. 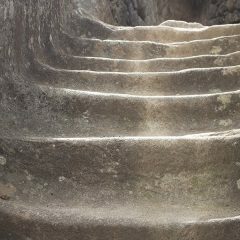 Our Mountain Lodges of Peru guide Whilder helped us understand the subtle beauty of Inca construction. Huge pieces of stone were considered beautiful, and natural forms were often preferred to artificial forms. The shape of the stone and of the land itself WAS art. Large boulders were often left in place and were thought to have spiritual meaning. Architecture, roads, and terracing hugged the shape of the land. In some ways, it feels like native American art and architecture in its purest form. The central ruins are the focal point of most tours, but to really appreciate Machu Picchu you need to get out and hike to the view points. With Lisa and Garrett, we hiked the precipitous path up to the top of towering Huayna Picchu which boasts a stone fortress and sky-high views over the entire archeological park. 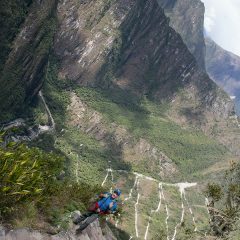 You are so high up that Machu Picchu appears to be a tiny, insignificant afterthought on the plunging slopes. 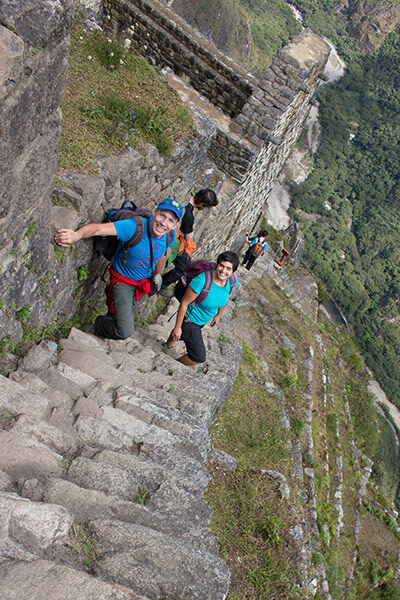 The steep, exposed staircase down the back of Huayna Picchu is an adventure in itself. 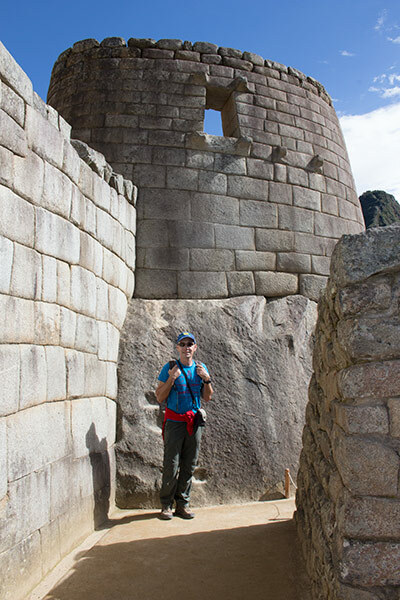 On our second trip to Machu Picchu, we hiked up to the Sun Gate to take in the exceptional views over the eastern side of the ruins as well as the zigzag road that leads up from Aguas Calientes. We also did a second side trip to the famous Inca Bridge which clings to a sheer cliff on the western side of the monument. The gorgeous cobbled path leading out to the bridge features vertigo-inducing sheer stone walls. It feels like something out of The Lord of the Rings – definitely try not to miss it. It’s easy to rush around the ruins trying to see everything. Or to be so focused on historical explanations or guidebook maps that you forget to just look at the grandeur. Take a moment to watch the llamas grazing on the Central Plaza. Hike up to the classic view point near the Hut of the Caretaker of the Funerary Rock, find a stretch of stone terrace to call your own and just take it all in. The sight of the stone temples, dwellings and terraces spilling down the steep cliffs is breathtaking. It really is one of the most beautiful monuments in the world. Yes, Machu Picchu is stunning. But all this beauty combined with enormous media coverage and touristic promotion means that this New World Wonder is – putting it quite bluntly – overwhelmed. 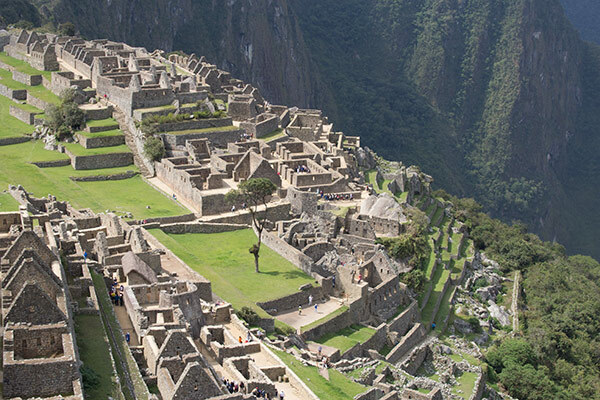 In 2011, the Peruvian government limited the number of visitors to Machu Picchu to 2,500 per day. 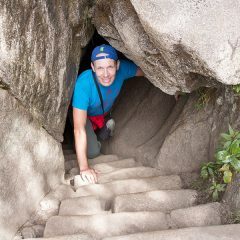 The popular climb up Huayna Picchu is limited to only 400 people a day. The climb up Machu Picchu Mountain behind the ruins is similarly limited. In other words, this is not a monument where you just show up last minute and expect to do whatever you want. Due to the damage caused by such large numbers of people moving through the monument, it’s also a real question how long Machu Picchu will remain this accessible. I’m afraid at some point, it may go the way of Chichen Itza and completely block entry to the ruined buildings. That would be a real loss; it’s just not the same walking along ruins looking at them from behind a barrier. 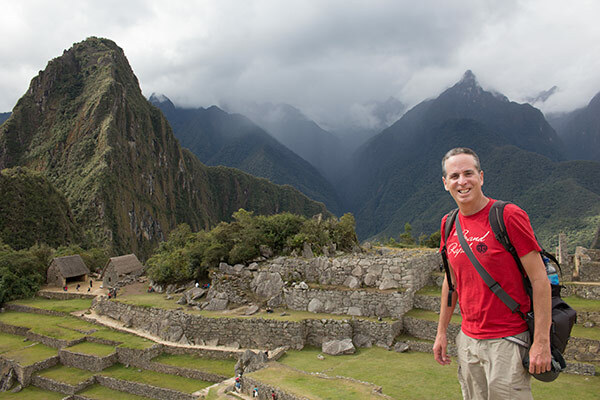 I would suggest that if you have your heart set on exploring Machu Picchu, you get there as soon as possible. 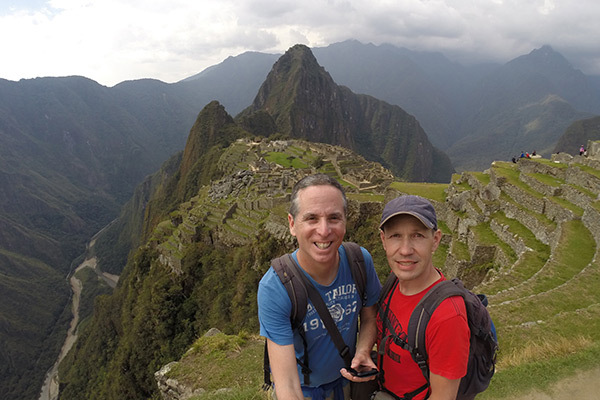 Disclosure: For our second trip to Machu Picchu, we were guests of Mountain Lodges of Peru. However, all of the opinions expressed here are our own. It’s Machu Picchu, people, of course we love it. I really want to visit Machu Picchu next year. I can’t wait to get there. From your blog, it sounds like I need to move fast. 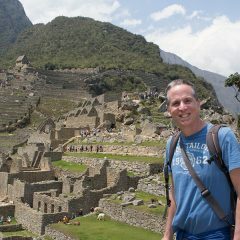 There seems to be a lot going on with Machu Picchu and the Cuzco area. A new international airport is going to be constructed in Chinchero. There is talk of the construction of a new cable car leading to Machu Picchu. Moreover, there is much discussion over the effect of so many visitors on the ruins. I was simply thinking aloud that I was worried that protective measures might eventually limit how visitors can move through the ruins. But yes, I would probably visit sooner rather than later. Machu Picchu is my favorite monument in the world. 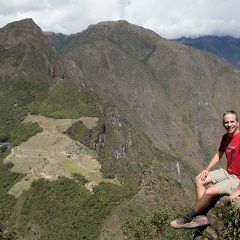 I think this is the first time I read about someone who went to Machu Picchu twice — you guys are amazing! I’ve heard about what happened to Chichen Itza and it would be really sad if the same limitations are applied to Machu Picchu. But even here in Indonesia there have been debates whether or not to impose strict limitations to Borobudur since its stones are slowly eroded due to the huge influx of tourists. @Bama, Yeah, we are ruin fanatics. 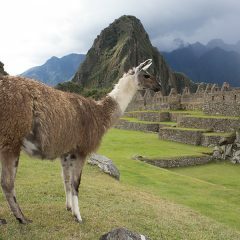 Actually, if Machu Picchu weren’t so expensive, we would have spent a week there. I do hope they don’t close Borobudur. We LOVE Borobudur and really want to go back. Machu Picchu looks so beautiful. I really want to visit but I don’t usually like really touristy places. Did you feel there were just too many people there to enjoy it? Can you get away from the tourists once you are there? @Elaina, There are a lot of people who visit each day, that’s true. 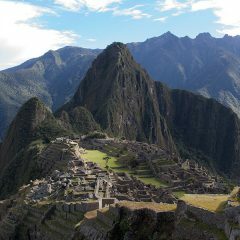 We Machu Picchu during the peak period at the end of July and then off season in November. Both visited felt equally crowded. 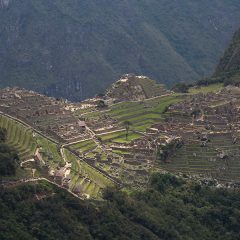 And despite the fact that Machu Picchu looks huge, the narrow paths and staircases in the central ruins can get backed up with tourist traffic jams. However, if you are flexible, you can really help control your experience. The peak time seemed to be between 10am and about 12:30. On both visits the ruins really cleared out around lunch time. 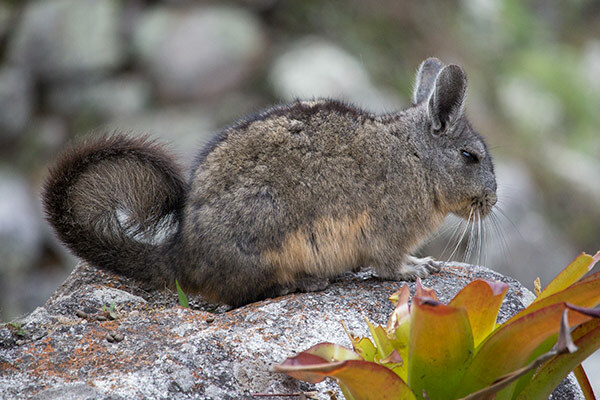 So it’s best to get there early and explore the central ruins, head out to Huayna Picchu, Machu Picchu Mountain, the Sun Gate or Inca Bridge and then come back to the plaza during lunch. On both visits we spent the whole day at Machu Picchu. We didn’t want to say that protective measures are not a good idea. But when visitors are so distanced or removed from a site, you do have to wonder what is being protected. We used Chichen Itza as an example because the limitations on movement through the site mean that visitors miss out on much of the art and architecture. It really is unfortunate. 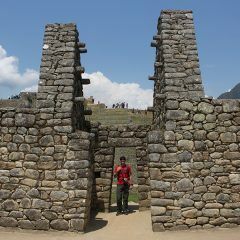 And the issues in Machu Picchu are nothing like Hampi. When we were we in Hampi, people were herding goats in the site, cooking within the monuments, sitting and climbing on the buildings etc. Also the Hindu tendency to touch statues as part of their religion makes preservation difficult. Machu Picchu has none of that fragile artwork. You are making me really want to go back. 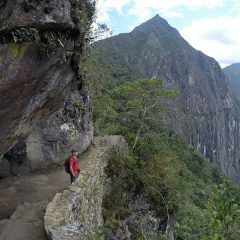 Machu Picchu is amazing, the thought as they did is the beginning of the Salkantay adventure and invites to return one more time.